........I will not attempt to evaluate all that is going on in modal logic these days vis a vi "possible worlds." It's a vast field and it's becoming a booming industry for philosophy majors. I will argue that for those who advocate a Tillich-Balthasar from of theology--God as being itself, super essential Godhead--there can be no possible worlds without God. 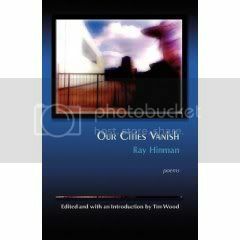 The point of possible worlds was initially to illustrate the notions of necessity and contingency. the concept of the possible world was used as far back as Libenitz (1646-1716) but their major use now seems to be in connection with necessity and contingency in modal logic. The first is an Aristotelian approach that says a non-actual event is possible is to say that some actual substances could have initiated a causal chain that could lead up to the event in question. However, it can be shown that some plausible global possibility claims can be made true on this account only if there is a necessarily existent first cause (or aggregate of first causes) capable of initiating very different universes. On the other hand, Leibniz made possible worlds be ideas in the mind of an omniscient necessarily existent deity. Leibniz fails to explain what it is that makes these possible worlds possible, but if we were willing to combine his story with the conclusion drawn from the Aristotelian one, we could get the following story: Possible worlds are ideas in the mind of an omniscient deity and what makes them possible is that this deity has the Aristotelian capability of initiating causal chains that can lead to them being actualized. .......I am only interested in them in so far as they are used by atheists to argue against the existence of God. The main way this works is to find some bogus reason to stipulate that God could not exist in such and such a world if certain conditions prevailed. Then they assert that if this is the case in a possible world than it must be the case in our world, because God would have to be in all possible worlds. If there is a possible world where there would be no God then there can't be one here. They can't assert that just imagining a world with no God proves no God in this world. Such an approach is merely cheating becuase it just begs the question outright. Yet I have seen many of them take this approach. One of the major things they do is to assert based upon their unbelief in this world that they can imagine a possible world with no God. So since they can do that that must be a possible world, since they can imagine it being possible. That's clearly begging the question since they are just asserting that this really a world with no God. It's not good just saying "I can imagine such a world" that does not make it such a world. The point of the exorcize is to illustrate necessity and contingency not to dictate reality by imagination. ......Here is an argument by Darth Pringle (on CARM) that I think illustrates perfectly the problem with these atheist arguments, (yes he manged to be wrong perfectly). P1. If something is God then its non-existence entails a contradiction. P2. The non-existence of a first cause of this universe does not entail a contradiction. C. Therefore, a first cause of this universe isn't God. P1. If the non-existence of something is logically possible then it could have not existed at some point in the past and it could fail to exist at some point in the future. Because an eternal being cannot have failed to have existed at any point in the past and could not fail to exist at any point in the future by definition, it's existence (if it exists) must be logically necessary, otherwise it is logically impossible. P2. The non-existence of this universe does not entail a contradiction. If this universe didn't exist then a first cause of this universe wouldn't exist obviously. Consequently, that something is the first cause of this universe is logically contingent upon the existence of this universe (even if the universe is ontologically contingent upon its cause). If we use possible world semantics to make this point we can say that there is a possible world in which this universe doesn't exist and so there is a possible world in which a first cause of this universe does not exist (even if this universe needs one). This makes the non-existence of a first cause of this universe logically possible (even if one exists or existed). C. Follows validly from P1 & P2 if they are both true via modus tollens. P2 is definitely trying to make God contingent upon the universe. I've argued this before on CARM but I think it eludes their understanding: the existence of creation is necessary for God to hold the title "creator." So in that sense God's status as creator is contingent upon the world. That is not the same as saying that the divine essence is contingent upon the world. The title of God as creator is just the way we think about God it has nothing to do with weather or not there actually is a reality to God. ......Now observe the rule of possible worlds in this argument. There is a possible world in which the cause of the universe does not exist. That's the same thing as saying there's a possible world in which the essence that created the world doesn't exist. It's only saying there is a world in which there in no first cause because there's no world there to create. That doesn't mean the thing that created it is not there. so that can't be an argument against the existence of God. The only thing is could possibly prove is that there is a circumstance under which God could exist without being the creator, that is there was no creation. If first causes exist at all they are necessary to existence of contingencies, so the only case in which there would be no first cause is if there is no world to cause. That does not rule out God. .......Edward Feser has a couple of helpful observations: It's common among people doing modal logic or using possible worlds argument about God to try and dictate the existence of God based upon the essence of thing as ascertain by the properties existent in a possible world. A common procedure is to characterize the essence of a thing as the set of properties it has in every possible world, a necessary truth as one that is true in every possible world, and so forth. For A-T, this gets things backwards. It is the essence of a thing that determines what will be true of it in every possible world, not what is true of it in every world that determines its essence. In general, it is incoherent to define modal notions like necessity and possibility in terms of possible worlds, since the notion of a “possible” world itself presupposes modality. It is also often said that for God to be a necessary being is for Him to exist in every possible world. This too is at least very misleading. 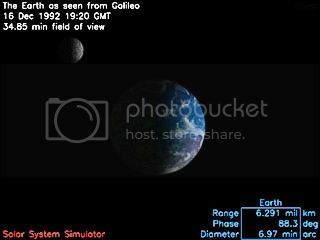 It leaves the impression that there are these things called “possible worlds” that have some kind of reality apart from God, and it turns out – what do you know! – that God happens to exist in every one of them, right alongside numbers, universals, and other necessarily existing abstract objects. To be sure, since possible worlds other than the actual one are themselves mere abstractions (unless you are David Lewis), they would not exist as concrete entities that God has not created. But the “possible worlds” account of God’s necessity nevertheless insinuates that that necessity is grounded in something other than God Himself – that what is possible or necessary in general is to be determined independently of God, with God’s own necessity in turn defined by reference to these independent criteria. For A-T, this is completely muddled. The reason God is necessary is that He is Pure Act or Subsistent Being Itself, not because He “exists in every possible world.” And since God just is Being Itself – rather than “a being” among other beings, existing in one possible world or in all – all possibilities and necessities whatsoever are themselves grounded in the divine nature, rather than in anything in any way independent of God. They leave the impression that possible worlds are competing for existence and that God is deepnednet upon them. It creates the impression that possible worlds are possible apart fom God. ......This the raises what I think is the background misconception that all such atheist arguments make, that because they assume they are observing a possible world in which there is no God when they observe this one (which is also an actual world) then it is the case that there must be other possible worlds with no God. They are just borrowing doubt from this world to construct an argument which is question begging. Another problem is the seem to think that possible worlds are any world they can imagine. So if they imagine a world with square circles that's a possible world even though they don't actually imagine the square circles per se. But possible have to be logically possible. That's the whole point of calling it "possible" in the first place, it has to actually be possible. So if the God argument they seek to answer is the idea that God is not separable from being, since God is being itself, they can't claim a possible world in which there is being itself merely becuase they imagine they can do without the idea. ......I argue that since being has to be and God is being itself, all being is indicative of God. If a possible world contains any sort of being, even if it's just one subatomic particle there's a reason to assume God. This is so because being itself is the basis of what being is apart from any particular given instance of it. We can't assert contingencies without necessities and we can't assert a universe without a first cause if there is a first cause at all. We can't assert being without a ground of being since the beings are just contingencies that are hung upon eternal necessary being. I'd like to know if anyone actually read this review. if so please make a comment? I love foreign cinema and occasionally I enjoy reviewing old films from Germany, France, Italy or Japan, or other countries. See my film review page. My favorite kind of film is one that takes on a big question, the kind of question religious belief is about answering, through the perspective of modern thought and film making. My favorite director is Ingmar Bergman, for his quasi religous (even though he was an atheist) films such as The Seventh Seal, the Virgin Spring, Winter Light. I've been searching for another director who would have that same kind of theological bent in a modern film package. I recently found one in Carl Dreyer (1889-1968). While Berman was a Swede Dreyer was Danish, and is very different from Bergman yet they both share that same Nordic kind of theater tradition that adds an element of stinginess and pageantry to their films. While they are very different they also at times remind me of each other. 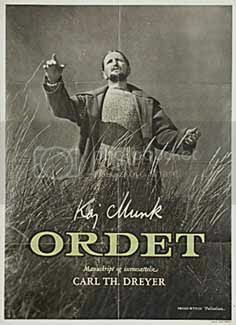 One Dreyer film that really made me feel I was watching a Bergman movie was his work "Ordet." Ordet means "the word." It's based upon a 1920s Danish play and is set in the 20s (although the film was made in 1954). It's about a family that has a son a who thinks he is Jesus. Two fmailies, the Borgen family, whose second son,Johannes Borgen, played by Preben Lerdorff Rye thinks he's Jesus, and the Peterson family, whose daughter Anne the youngest son of the Borgen's, Anders, loves and wants to marry. The two families have been feuding for years over religion. The Borgen represent the modern liberal happy chruch kind of people who think religion is positive, but rationalistic. The Peterson's represent a more old fashion kind of sever dawyer always alarmed faith based upon German Pietism. They are not Penticostal, they would not get excited in worship but would act somber. one group thinks everyone should be happy, but responsible and moral, the other groups thinks we should all be afarid, alarmed, ashamed and somber. We first see Johannes when he's wondered off into the cliffs and shouts down at the village "the word came into the world and the world received it not." he stands there shouting prophesies of doom on the unbelievers the other family members go out and bring him in. Rye's performance is excellent. He actualy looks a bit like the guy on the shroud of Turin. He speaks in a whining voice and always greets people "God beleeeeeessssss youoooooo." Anytime there's a dramatic movment and the old grandfather is contemplating the issues we hear that whining "Gawd Beleeeeeessssss youoooooo" we know there's going to be some comic relief. Once Johannes lights two candles and sets them on the window ledge. His sister-in-law, Inger wife of oldest son Mikel asks "why did you put the candles there?" He Johannes answers "so that my light will shin in the darkness." Everything he says is right out of the red letter bible, the words of Jesus. Even if it's an answer to mundane question me makes it fit. The minister comes to visit and introduces himself to Johan and Johan replies "don't you recognize me? I am Jesus of Nazareth." At that point we learn that he was a seminary student driven mad by reading too many books (he must have gone to Perkins). We find that it was primarily Kierkegaard who dorve him over the edge. He is the personifiication of SK's attack on Christendom, right out of the pages of the book. Everything he says has two meanings, one an answer to the mundane counted in nutty sounding Biblical quotation form Jesus, and the other a hinted application to the higher issues of the plot. Of course no one takes him seriously because he's just the crazy guy. Everyone pities him but no one listens to what he's saying. What he's saying inceently, as did Keirkegaard, "you profess faith but you don't believe it." All the other characters say nuttie things, they all exhibit paranoia and magical thinking, or an ordinary kind, but the implication is there that the problem is everyone in the society is revved up on religious anxiety without the actual faith to turn into something positive. Becuase they don't go around saying they are Jesus or answering every question with a quotation form the Bible no one thinks they are nuts. Anders goes to Anne's parents and asked to Marry her. They refuse him. There is a sub plot his mother gaining his grandfather's approval. The two old men, the grandfathers of both families have been at each other for years, becasue one is for the happy chruch one is for the somber upset chruch. They discuss the issue in a special meeting in the girls home and come to actual blows. The stage humor is amusing that they meet in "Christian love" and wind up brawling. At this point they are sent word that Inger is about to have her baby but she's sick. Something is wrong and her life is in danger. They go home and everyone is tense and praying. The doctor is working hard. The Jesus son is in the back room talking to hi young niece. He tells her "it's better to have a mother in heaven becuase then she will be always with you. On earth she has too many things to think about." The girl decides she wants her mother with her. He says "I can't bring her back (he's not gone yet) because they wont let me." He keeps quoting the passage about Jesus couldn't do many mighty works in his home town because of unbelief. In one scene the grandfather is talking out loud to himself about how God is doing this to punish him. Johannes is walking behind him, packing back and forth. He's saying detached nuttie things and the Grandfather is saying "not now." But Then things Johannes says start making sense plot wise. They are like informing him of his unbelief and how this is effecting the situation. The Granfather is sort on the surface saying "go away you are nut but he also starts talking to him as though he's really God. part of the time he's answering back going "why do you allow these trials" while the rest of the time he's saying "you are a nut." This is a perfect metaphor for the point of the play that their faith is double minded. It's a real Kierkegaardian theme that their belief is shallow and social and not interlinked. The doctors thinks the woman will pull throw and now she's resting. He and mintier sit and have a little confab about God and the reality of miracles and they reduce miracles to science and decide that God works only thought he natural he's given them the ability to solve everything. They are the rationalists. The doctor represents modern secular view of scinece, the minister the modern ratinalisit view of the chruch. When they leave Johannes comes right out and says "the man with the hourglass is back. he's going through the wall to see Inger." They shush him "that's the doctor's car lights on the wall as he turns around." No sonner does the doctor drive away the the Miekkel comes out and says he died! Johannes again tells the little girl "i can't raise her because they wont let me." He leaves in the middle of hte night. His note says "where I go you cannot come" a quotation form John that Jesus told Mary Magdeline in the resurrection scene. They go looking for him for the next couple of days. They don't find Johannes and they wind up at the funeral. It's time to seal the casket and here comes Johannes. He's talking normally. The father says "you have come to your senses!" He says yes father I've come to my senses. Now I realize that the child's faith is all I need, referring to his young niece. The first comes over and says "you have to do it now Uncle." So he says "in the name of Jesus rise" and the woman comes back to life. He tells them "you never thought to ask God to restore her life because you only half believe your faith. The ending I'm told is in a tradition of Danish theater where they seem very stylized and not realistic in their reactions. I say this because in real life they would be running around in shock but in the film they act like "I won ten dollars in the drawing, that's nice." The minister and doctor are shot panned away from we don't even see their reactions. The whole thing is so totally Kirkegaaridan it's a joy to watch, if you are a SK fan like me. The family dynamic, the superstitious nature of their faith, is the issue. Its' not saying that all belief in God is superstitious it's saying that the way they use their faith as a protection against misfortune but don't really believe God's promises makes it superstitious like. The son who so closely identities with Jesus that he starts thinking he is Jesus is regarded as a nut but the one's who have no faith and yet cling to a rationalized version of faith are credited with sanity when in reality they are less aware of the true import of things than the "nut case" son. I'm still discussing the perspective we take to God arguments and how that determines the outcome. This is an example, the fine tuning argument. This not an attempt to prove the argument but to show what difference attitude makes. The first such example of a God argument is that of “fine tuning.” Fine tuning is a subset of the anthropic principle, the idea that the universe is somehow biased in favor of life bearing. Fine tuning says that there are target levels that have to be hit exactly right in order for life to develop in a universe and hitting each one of them is so vastly improbable that the odds indicate some selection, some principle that is capable of selecting for life and controlling events in such a way as to make things happen rightly for the furtherance of life. This is evidence of mind behind the scenes. This is a design argument but it avoids the usual pitfalls of design. That is most design arguments are problematic because they don’t have a known designed universe to compare this one too. Conversely they don’t have a universe that we know is not designed to compare to. That makes it tough to say what actually design is. Yet we know what must be design if we can attach probability to the development of life. All that is not the target level is random and what hits the target must be assumed as design because it’s so unlikely. As I have said I won’t go into great depth on this argument, but just to give cursory explanation. The argument has many critics and a lot of arguments against it, but it is also very defensible if one does one’s homework. The major proponents of the argument are probably Paul Davies and Robin Collins (Messiah College in Grantham Pennsylvania). Davies argues that there is a consensus among physicists and cosmologists that the universe is for the building blocks of life. That is to say the environments required for life are fine tuned. 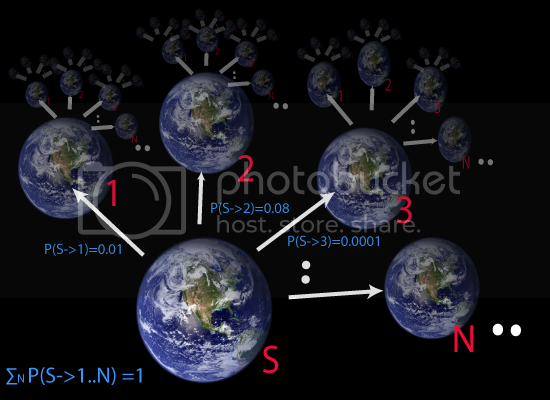 *size of the universe: Our part of the universe contains at least IO^88 elementary particles. But why is the universe so big? If one takes a universe of a typical initial size given by the Planck length and a typical initial density equal to the Planck density, then, using the standard big bang theory, one can calculate how many elementary particles such a universe might encompass. The answer is rather unexpected: the entire universe should only be large enough to accommodate just one elementary particle or at most 10 of them. it would be unable to house even a single reader of Scientiftc American, who consists of about 10^29 elementary particles. Obviously something is wrong with this theory. * Timing of expansion: In standard form the Big Bang theory suggests that all part of the universe began expanding simultaneously. How this could work, or what mechanism timed the expansion we can’t say. One of the cornerstones of the standard cosmology was the 'cosmological principle," which asserts that the universe must be homogeneous. This assumption. however, does not help much, because the universe incorporates important deviations from homogeneity, namely. stars, galaxies and other agglomerations of matter. Tence, we must explain why the universe is so uniform on large scales and at the same time suggest some mechanism that produces galaxies. Finally, there is what I call the uniqueness problem. AIbert Einstein captured its essence when he said: "What really interests me is whether God had any choice in the creation of the world." Indeed, slight changes in the physical constants of nature could have made the universe unfold in a completeIy, different manner. ..... In some theories, compactilication can occur in billions of different ways. A few years ago it would have seemed rather meaningless to ask why space-time has four dimensions, why the gravitational constant is so small or why the proton is almost 2,000 times heavier than the electron. New developments in elementary particle physics make answering these questions crucial to understanding the construction of our world. The reason the list begins with the second example is because the first example is the big bang itself, that’s not really fine tuning per se. It is interesting that he mentions it because he states that the question of laws is still the major problem for physicists. This was back in 97 but that’s still true. The final paragraph is crucial he says these puzzles could have turned out differently and had that been the case the universe would have been totally different. He even points out that aspects of it could have worked out in billions of different ways. He doesn’t say it but that would suggest that meeting the target levels in just the right way for life to flourish (at least on one planet) is remarkable. There several standard examples used by those who make the fine tuning argument. The fundamental constants that are involved in the laws of physics which describe our universe are finely tuned for life, in the sense that if some of the constants had slightly different values life could not exist. Some people hold that this provides evidence for the existence of God. I will present a probabilistic version of this fine-tuning argument which is stronger than all other versions in the literature. Nevertheless, I will show that one can have reasonable opinions such that the fine-tuning argument doesn't lead to an increase in one's probability for the existence of God. Matthew Kotzen makes a minimalist defense of the argument based upon the “likelihood principle” which seems somewhat in the vain of Bayes’ Theorem. The idea behind LP, then, is that if one hypothesis makes E objectively more likely than another hypothesis, then the fact that E actually does occur is some evidence for the first hypothesis over the second. While there are certainly some philosophers who have raised doubts about the core idea behind LP,2 that core idea has been extremely influential and is accepted in some form by nearly all so-called ‘Likelihoodists’ and ‘Bayesians’. He overcomes the anthropic bias argument that says when all the evidence is taken into account we realize that fine tuning is just focusing on something which should be expected as a unremarkable part of the cosmic layout. He points out that critics mean different things by “take all evidence into account” and the likelihood principle establishes the validity of the argument. Of course the problem is this evokes the kind of selective bias discussed in chapter eight (can science disprove God?) in connection with Bayes. Yet it may be the bias can be over come but there wont be new information on the divine reality as it is beyond our understanding. The argument can’t make God more probable. It can, however, point up the value in the warrant for belief bestowed by the evidence of fine tuning. It can’t be proof of God’s existence, or lack thereof. Again, we are confronted by the reality that one’s perspective plays a huge role in how one sees God arguments. The major argument against fine tuning is the multi-verse, or “many worlds theory,” (MWT). Andre Linde who’s arguments I use above to document the problem of fine tuning, also appeals to the Multiverse to answer it. The idea is that if you only have one space/time universe then the entire fine tuning coincidences are so amazingly against the odds, but if you have a billon such worlds, or even an unlimited supply, the odds against hitting the target just go way down. It’s not remarkable to think that out of a billion planets we just happen to be in one that hit it big for life. After all had we not been in that kind of planet we wouldn’t know about it. That idea comes from Kant’s attack on the cosmological argument. Of course there is no empirical proof to support the idea of a multi-verse. There are mathematical models that seem to support the idea. There is no real empirical proof of one, and probably never will be. It’s really an act of faith to throw away the possibly of God merely because there might be this other possibility that one clings to merely because it answers a possibility we don’t wish to accept. Moreover, even with a multi-verse the furthering of intelligent life and consciousness requires such precision that the multi-verse mechanism would have to also be fine tuned to produce a world with conscious agents in it. Just knowing that other words are possible or even that they exist is not enough. We would have to know the hit rate, that is, what percentage of them bear life? That’s important because just producing one intelligent life bearing planet (not enough just to get any kind of life, but “higher order” life) would still be amazingly amazing. So we need to know what percentage because only if it’s a major percentage (maybe 15%) could we say it’s not amazing that there is a such a world. The multiverse is also the reverse gambler’s fallacy. Some people think that if you roll the dice repeatedly and don't get double sixes, then you are more likely to get double sixes on the next roll. They are victims of the notorious gambler's fallacy. In a 1987 article in Mind, the philosopher Ian Hacking sees a kindred bit of illogic behind the Many Universes Hypothesis. Suppose you enter a room and see a guy roll a pair of dice. They come up double sixes. You think, "Aha, that is very unlikely on a single roll, so he must have rolled the dice many times before I walked into the room." You have committed what Hacking labels the inverse gambler's fallacy. Another objection to the theory of fine tuning would be to propose a higher principle of organization that is responsible for the fine tuning, thus passing the problem along to a higher level. An example of this is the inflationary model of expansion. The article cited above by Linde contains his own attempt to do this by trying to answer the issues or “puzzles” he raises by use of scalar fields as part of the inflationary model. That’s really just putting the problem off a level, and the mechanism itself would have to be fine tuned. "The inflationary model can succeed only by fine-tuning its parameters, and even then, relative to some natural measures on initial conditions, it may also have to fine-tune its initial conditions for inflation to work." The notion that there might be higher mechanisms and deeper structures making for life bearing and life flourishing universes could in itself be understood as part of the order, and that might be seen as product of mind; it is still a matter of perspective. The team, which also included planet hunter Geoffrey Marcy, UC Berkeley professor of astronomy, cautioned that Earth-size planets in Earth-size orbits are not necessarily hospitable to life, even if they orbit in the habitable zone of a star where the temperature is not too hot and not too cold. "Some may have thick atmospheres, making it so hot at the surface that DNA-like molecules would not survive. Others may have rocky surfaces that could harbor liquid water suitable for living organisms," Marcy said. "We don't know what range of planet types and their environments are suitable for life." Yet my purpose in discussing it is not to add an independent argument but to use it as a further support for my point that there is real distinction behind the differences in prescriptive and descriptive laws of physics, the reality being described is prescriptive in the sense that it is made up of a deeply structured order that appears to be wrought for the purpose of producing intelligent life and thus, we can understand that order as an organizing principle that is the product of mind. This is apt to be understood as argument from design and I really don’t want that. If it is a grand design then so be it, perhaps I’ve found a way to make a design argument work, but I think it’s more than that. I think the real argument has more to do with the need to understand mind as the necessary basis or organizing principle. It has never made much sense to me to think of some disembodied set of order just standing around making things happen, yet there’s no reason for it. While design argument might cast God in the anthropomorphic role of great building contractor in the sky, the realization of a mind-based organizing principle upon which the order and complexity of the universe depends might transcend that anthropomorphic image. Certainly the need for such a principle to “fix the game” of the universe and set the target levels is one more aspect that points to mind. Linde is Russian, went to Mascow University, he was one of the originators of inflationary theory. He has been professor of physics at Standford. Andre Linde, Interview by Tim Folger, “Science’s Alternative to Intelligent Creator: The Multiverse Theory,” Discover Magazine, Interview dated Nov 10, 2008, but it appears in the Decemeber issue for 2008. On line version: http://discovermagazine.com/2008/dec/10-sciences-alternative-to-an-intelligent-creator#.Uyb8ts5mhsE accessed 3/17/14. Martin Rees, Just Six Numbers: The Deep Forces That Shape the Universe, NewYork: Basic Books, 2000. Andre Linde, op cit. 102-104. Keck Observatory representative, “odds are on oodles of Earths,” published by Jet Propulsion Libratory, California Insitute of Technology for NASA on “Earth Quest.” Wesbite. Nov 4, 2013. In the last installment I was making the point that the validity of lack of validity in God arguments depends upon perspective. I was interested in a certain kind of God argument That stems from realizations about the law like nature of the universe, and it's "behavior." One such example is design arguments, even the fine tuning argument. I will deal with specific examples on either friday or Monday. I don't have a film to review on Friday. Today I'm going to finish the discussion about the two schools that argue between laws of nature and phsyics are merely descriptions of behavior vs. they are actual laws. It is understandable that naturalistic thinkers are uneasy with the concept of miracles. So should we all be watchful not to believe too quickly because it is easy to get caught up in private reasons and ignore reason itself. Thus has more than one intelligent person been taken by both scams and honest mistakes. By the same token, however, it is equally a danger that one will remain too long in the skeptical place and become overly committed to doubting everything. From that position the circular reasoning of the naturalist seems so reasonable. There’s never been any proof of miracles before so we can’t accept that there is any now. But that’s only because we keep making the same assumption and thus have always dismissed the evidence that was valid. Of course in the nature of scientific realism we see ideology at work on both sides. They are not arguing about the empirical data suggesting how the workings of the physical world proceed. They are not arguing about a big pile of facts that are totally factual and do not require any sort philosophical component. These things are part of the discussion but the frame work of the discussion for both sides is clearly philosophical and thus ideological as well. 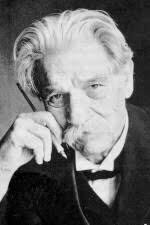 Scientific realism in many of its versions distinguishes between ontological and epistemological views. In the world of Roy Bhaskar’s realism there are commonalities with the Frankfurt school that is with neo-Marxist social and political criticism. So for, it is anti-realists who are working from a postmodern reading of constructivism. 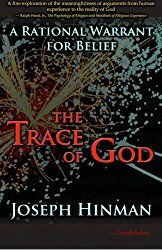 Whichever school prevails, science has to make the assumption that our observations really tell us what’s there, if they want to rule out God and religion and other “primitive” things as “unscientific.” It wouldn’t really work to assume that the objects of scientific understanding are just “constructs” and then try to use them to rule out the reality of other ideas such as God. They have to make an assumption of a realist nature at some point. They can argue that assumption as a theoretical one, thus allowing a constructivist to remain a constructivist and still assume the reality of objects of scientific scrutiny. 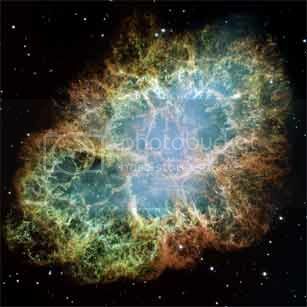 Otherwise we can’t assume string theory or mutliverse, or that there’s solidity at the basis of matter. To dismiss belief on the basis that we are just imposing patterns is also to dismiss the ability of science to predict the workings of natural world. We can go all the way on assuming Humean view (description only) if we are prepared to be solipsists in the end. We can go to the other extreme and assume law like regularity if we are prepared to impose our own ideas. The only logical way out is to be consistent and follow what works, but that might just mean having to refrain form ruling out some version of SN. What works is the assumption that our perceptions are real. We don’t play on the freeway on the assumption that our perception of patterns is just imposed and all that oncoming traffic is not real. Solders on the battle don’t stand in the line of fire on the premise that bullets are just theoretical constructs. We go with what works and what works is to assume that when our perceptions of regular, consistent, and shared (Inter-subjective) they are worth heeding. One of the areas in which we should make such assumptions is in the assumption that order and regularity is indicative of prescriptive laws of nature, and in turn prescriptive laws are indicative of the will and ordering of mind. Order bespeaks mind in that mind is the only example we know of purposive ordering. As Vera Kistiakowsky stated, “The exquisite order displayed by our scientific understanding of the physical world calls for the divine….I am satisfied with the existence of an unknowable source of divine order and purpose.”  This quotation shows us that it was not that long ago that it was understood in science to view order as indicative of prescriptive laws at least in the sense of being a creation of mind. I use the word “purposive” and that’s a key because it is the hint of purpose that makes us think of mind. Why assume there’s a purpose? The whole atheist concept of answering final cause and design arguments is to divorce the universe form purpose. “Things are just here” they tell us, “there’s no ultimate reason, there’s only the descriptions of physics.” The problem is the description describes perfect order and absolute regularity. These aspects fit the need to produce a life bearing universe. That hints at purpose. Purpose hints at mind. The fact that it’s bankable, it’s always there, it’s relentless order makes it seem prescriptive. The concept of cause and effect seems a prescriptive concept. Other aspects of the systems approach have made philosophers wary. Some argue that this approach will have the untoward consequence that laws are inappropriately mind-dependent in virtue of the account's appeal to the concepts of simplicity, strength and best balance, concepts whose instantiation seems to depend on cognitive abilities, interests, and purposes. The appeal to simplicity raises further questions stemming from the apparent need for a regimented language to permit reasonable comparisons of the systems. Cause and effect might be taken as an example of prescriptive laws. In spite of the descriptive nature of physical law in modern scientific outlook, cause and effect is not made obsolete but still bears a crucial place in human thought. Some argue that cause and effect is outmoded due to quantum theory. Quantum theory (QM) posits acausal happenings such as the appearance of quantum particles. That has been discussed in chapter 8, “disprove God,” In connection with Krauss’s book. QM doesn’t replace cause and effect in all of science. It’s only under very specialized conditions that it can be assumed to be acausal and it’s only in connection with a certain theoretical outlook. Of course the question of laws is very complex now. We are not sure we know what laws are. The idea that the universe contains a law of some sort in some heavenly realm and natural processes obey that law is ninetieth century, no one really thinks that way now. We can speak of general principles or “universals” of some sort. There certainly do seem to be principles that are generally active and keep the universe running along certain lines. We can see these are “organizing principles.” Calling them laws is sort of one sided because it conjures up images of a celestial legislator. The term too directly links to the watch maker, law implies Law giver. Organizing principle could imply any sort of origin source, personal or impersonal, purposive or not. One such principle is cause and effect. Nor is causality equal to determinism. Determinism is often confused with cause and effect but conceptually they are not the same and one does not necessitate the other. The fact that they can get mixed up with each other raises an important issue: the nature of cosmological issues as inherently philosophical. None of the issue addressed so far can be resolved by just observing facts; they all require philological investigation, and that means that ideology can’t be far behind. Not that philosophical thinking is inherently ideological, but it’s constantly opening the door. Ideology is like a leach that seeks to attach itself to philosophical thinking every chance it gets. The relative nature of prior probability of God based upon one’s personal search, the nature of laws, the nature of purpose and order, the problem of descriptions and how they very according to empirical observation, the acceptance of strange phenomena (miracles), all the things we have touched upon so far require philosophical thinking, thus run the risk of ideological connotation. Some scientists have tried to argue that if only we knew enough about the laws of physics, if we were to discover a final theory that united all the fundamental forces and particles of nature into a single mathematical scheme, then we would find that this superlaw, or theory of everything, would describe the only logically consistent world. In other words, the nature of the physical world would be entirely a consequence of logical and mathematical necessity. There would be no choice about it. I think this is demonstrably wrong. There is not a shred of evidence that the universe is logically necessary. Indeed, as a theoretical physicist I find it rather easy to imagine alternative universes that are logically consistent, and therefore equal contenders for reality. This does leave the atheist in a pickle. I hesitate to evoke this argument because it’s a double bind and I don’t like double binds, I think they are often phony. Yet this one is problematic either way. If the universe just has to be this way then it’s bound to be prescriptive with respect to physical law. Thus it’s a contradiction to say laws are only descriptions. Thus a descriptive universe must also be a contingent universe. That much is true, but we can’t push it and say “either way it has to be God” that would mean either prescriptive or descriptive is an implication of God, that’s a double bind. It seems more honest to just say that what is described is order, and that even though “laws” or organizing principles may be compelling they don’t make a necessary universe, but they are aspects of a contingent universe that is none the less ordered and prescribed by some higher principle. Then of course the argument centers around weather or not that principle is mind. In any case the contingent nature of the universe lends itself to several God arguments hat involve the ordered nature of the universe. James Franklin, What Science Knows and How it Knows it. Jackson Tennessee:Encounter books 2009, 64-65. Franklin teaches at University of New South Wales, he’s a mathematician who publishes on History of Ideas. Karl Popper quoted in Antony Flew, Philosophical Dictionary, New York: St. Martin's Press, 1979, 242. Paul Davies, “Physics and the Mind of God, The Templeton Prize Address,” First Things. (1995). Davies was born in 1946, he is recipient of the Templeton prize, the largest monitory aware for scientific achievement, In the past he has taught at University of Cambridge and is currently director of “BEYOND” center for fundamental concepts in Science. Is American Politics ran by "Dog Whistles?" Are Atheists Trying to Steal Paul Tilich?